The Valoriani Fornino Cucina UK 60, like its’ sister the Fornino al Fresco, is an oven ready for all indoor cooking situations. The Fornino Cucina is a very versatile oven and cooks to perfection much of what is cooked in an electric or gas oven (including pizza), with the added benefit of doubling up as a barbeque when using the Tuscan Grill (optional extra). Cooking food with a real flame gives an authentic taste and feel of the Mediterranean indoors. 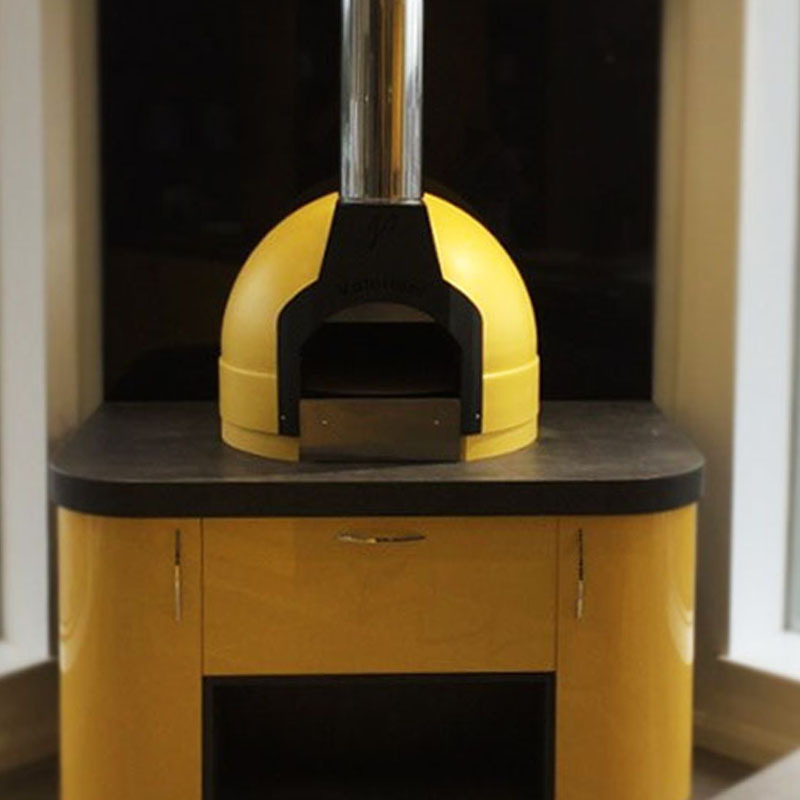 Available in both wood burning and gas burning models. All Valoriani ovens supplied by Valoriani UK are DEFRA clean air approved and have been awarded a clean air exemption certificate due to their low emissions ratings. They qualify as exempt fireplaces under statutory instruments 2007 No. 2462 Clean Air England smoke control areas (exempted fireplaces) (England) Order 2007, that allows our range of ovens to be operated within smokeless zones across the United Kingdom. Please check the Government website as many oven manufacturers claim DEFRA certification but do not have it. Wood fuelled ovens offer a natural, authentic method of cooking and in order to comply with DEFRA Licensing readily available wood with moisture content below 20% needs to be used. Planning permission is not specifically required for our ovens as they are licensed by DEFRA for use in all UK smoke controlled areas. However it is possible that local planning requirements may apply e.g. relating to flue extraction - in this instance we cannot be held liable for any non compliance issues relating to extraction. When used in accordance with the manufacturer’s instructions all our ovens carry a minimum 1 (One) year parts and labour warranty. Warranties up to 10 years are available in some situations please ask. Orchard Ovens by Valoriani Limited is a company registered in England and Wales with Company Number 9373435 trading as Valoriani UK.